Associate Professor Meghan Miller comes to AuScope with a wealth of knowledge in global seismology and plate tectonics research. Image: ©AuScope. AuScope is excited to have Associate Professor Meghan Miller leading our Earth Imaging program from 1 July 2018 as Professor Malcolm Sambridge transitions to managing our Seismometers In Schools national outreach program. Congratulations to you both! Here, Meghan shares her story, from growing up in North America to studying in the US and Australia, with field studies in Morocco, Indonesia and Timor-Leste in between. We discover her passion for plate tectonics and deep Earth, swag of academic achievements, and ambitions for research innovation in Australia. Discover Meghan's, or Malcolm's career achievements, or learn more about our Earth Imaging program. Tell us about you, in a nutshell. There is no nutshell, but here goes! I’m originally from Canada and grew up and studied an undergraduate and two masters degrees in the U.S. I began my studies in the seismically active Southern California, but later moved to New York. I went on to work at the US Geological Survey and a software company for a few years, but soon, a research career beckoned. So, I headed to Australia to pursue a PhD at ANU in Canberra. I then returned to Canada and the US to complete my post-doctoral studies. My PhD focused on the tectonic evolution of the western Pacific subduction zones, then my postdoc focused on seismic imaging of the Caribbean and South American plate boundaries. In 2009, I became an assistant professor at the University of Southern California, and at the beginning of 2017, I returned as an associate professor in seismology & mathematical geophysics at ANU. Now, I split my time between teaching and research at ANU, and program leadership with AuScope! My research focuses on understanding the Earth’s tectonic evolution using seismology to understand it. Specifically, I’m interested in investigation into the evolution of plate boundaries, in particular active subduction zones, and cratonic structure which can provide a glimpse into ancient tectonic processes. Right now, I’m planning a deployment in northern Western Australia and the Northern Territory which complements an ongoing experiment that I am running in Timor-Leste and Indonesia. These new data will greatly enhance the imaging capabilities and allow for resolution across the Timor Sea and further improve on a seismic catalogue for this unique tectonic environment. Do you have an analogy that explains what you do? Yes! Think of medical CAT-scans that give us an image of bones in our bodies. As seismologists (rather than radiologists), we use seismic waves (rather than X-rays) generated by earthquakes to image the Earth (rather than our bodies). 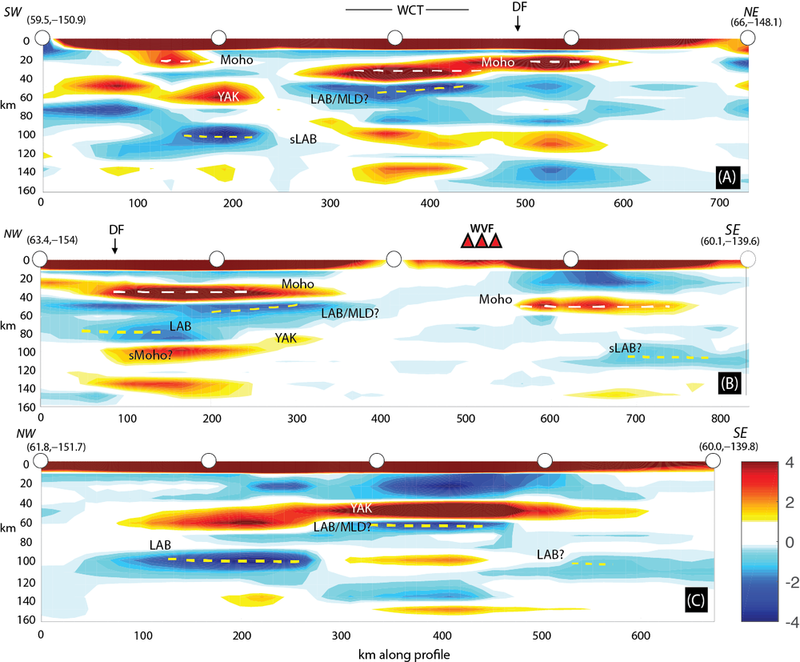 A series of cross-sections through the crust and upper mantle beneath Alaska (Miller et al., 2018). Why is your current research important, and how does it translate to the real world? I’m studying why and how both the continents and in fact the whole tectonic plates have evolved into their current state. I am particularly interested in plate boundaries where active processes are evidenced by volcanoes and earthquakes. These features affect our lives. If we can better understand why, where and when these Earth processes are most likely to occur, we can best inform the general public and protect lives. How, and to what extent does your work depend on AuScope? Without AuScope data, it would be impossible to attain the resolution that we need to produce images of the Earth’s interior that begin to bridge the gap between geological observations and geophysical observations. What is the coolest thing about your job? Being able to travel to remote locations and see the world from a different perspective, and also see the diversity in landscapes and geology and as well cultures and environment. 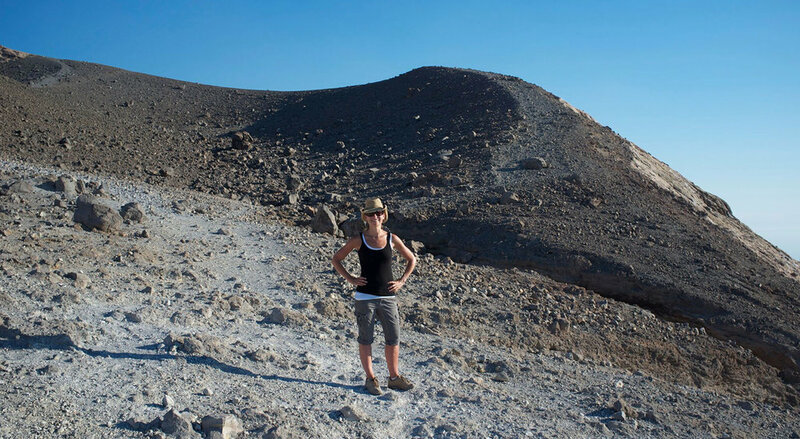 Exploring a volcanic landscape on the Aeolian Island of Vulcano in Italy, which is a research area of interest Meghan’s my studies of subduction zone evolution and links to volcanic processes. Image: Associate Professor Meghan Miller. Can you share a happy accident or turning point in your research? One of the first field experiments I conducted was in Morocco and Spain, where I was investigating seismic activity along a subduction structure at the plate boundary. I laid out seismometers in the Atlas Mountains, south of the plate boundary, and found links to volcanism unrelated to subduction zone, rather, likely a mantle plume below the Canary Islands that had channelled up in my field area. What’s it’s like to work in the Australian geoscience research community? In the states and Canada, the seismology community is relatively large. Here, you get to know people quite well and have access to lots of resources for research, such as AuScope. 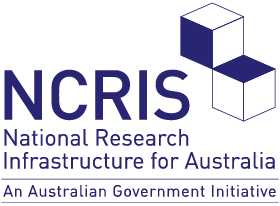 Australia has a large influence on the global science community as it so far away, but is focussed on international collaboration, it’s nice to be a part of that. How do you see your field developing in the future? In order to gain greater insights into large-scale earth processes, our field needs masses of data at much finer geographical spacing than have been collected historically. Right now, we have new capabilities in seismic instrumentation called ‘nodes’, which are soup can-sized, battery operated and cordless.They can be placed at just a few tens of metres apart, rather than hundreds of kilometres, allowing ‘large-N’ experiments to be conducted. With these new instruments and data handling capabilities, we can collect high density data that are no longer aliased spatially. In my AuScope role, I look forward to further bridging the gap between geophysical and geological observations, alongside AuScope Earth Imaging collaborators at Australian National University, the University of Adelaide, The University of Melbourne, Geoscience Australia and state geological surveys.